The first Underneath The Stars Festival, a partnership between Cannon Hall Farm and Kate Rusby’s family owned record label, Pure Records, took place last summer, on an already busy South Yorkshire festival weekend (Tramlines and Coalfields were on the same weekend) but that didn’t stop over 8,000 music lovers from descending onto the fields of Cawthorne to enjoy three days of great music. The family-friendly event which showcases a mix of folk, swing, jazz, rock and roll, blues and world music along with arts and cultural activities, and saw headlining sets from Richard Thompson, The Puppini Sisters and Kate Rusby herself, attracted tourists to Barnsley from all over the UK. This year’s festival, takes place over the weekend of July 24th – 26th, and already the farm is preparing itself by moving its flock of sheep to pastures new to make way for the music festival being held on their nine acre field this summer. Health and safety regulations require that livestock is moved off the field six weeks prior to the event in order the rest and prepare the ground for public use. But the sheep won’t be going far. They’ll graze in neighbouring fields at the popular visitor attraction, which is also a working farm with a farm shop selling some of its own produce. Cannon Hall Farm owner Robert Nicholson said: “We’re moving the sheep off this field in preparation for the biggest event we are hosting at Cannon Hall Farm this summer. Great care is taken to disrupt farm life as little as possible. For example, there is plenty of excellent live music to be heard, but no loud fireworks and noisy children’s rides. Family fun is provided through a selection of vintage fairground rides, storytelling, music and dance workshops and craft activities, plus a giant planetarium and artisan food and drink from Yorkshire-based suppliers. 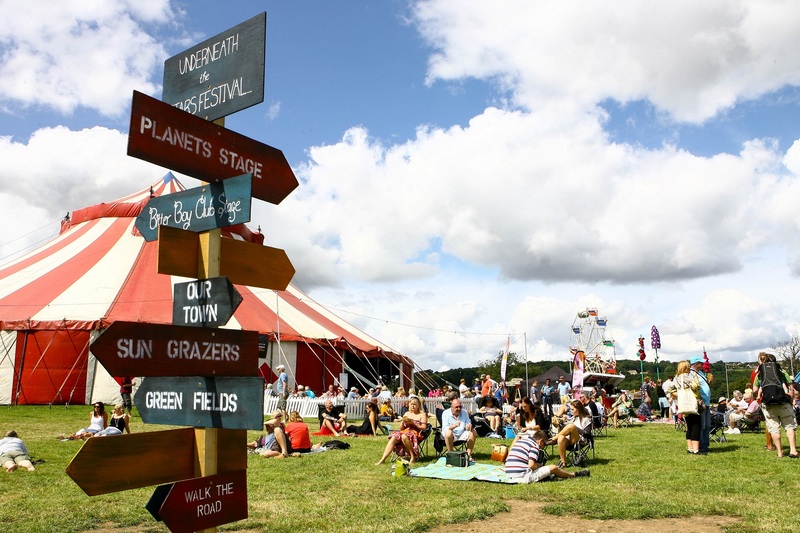 Headliners on this year’s line-up include Kate Rusby herself, US song-writing legend Mary Chapin Carpenter, Eddi Reader, formerly of Fairground Attraction, and Philip Selway, of Radiohead. Friday’s line-up includes Galleon Blast featuring BBC radio personality Mark Radcliffe, plus North East trio The Young’Uns and Bristol-based vintage-swing fusion outfit Electric Swing Circus. On the Sunday, Molotov Jukebox fronted by musician/actress Natalia Tena – of Harry Potter and Game of Thrones fame – will perform alongside Leeds-based six piece Hope & Social and US old-time music genius Brube Molsky. 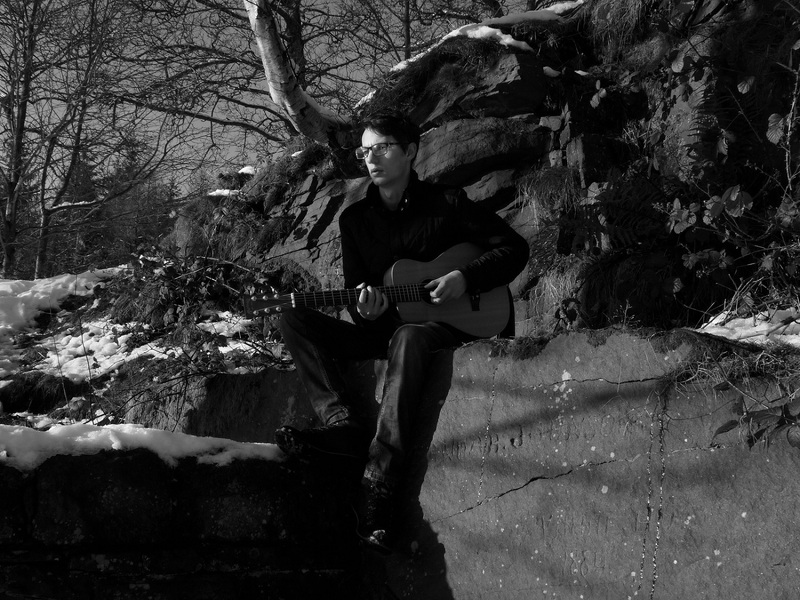 Another local talent, the legendary guitar maestro Martin Simpson of Sheffield will also perform on Sunday. The latest name to be added to the festival is Orchestra Cumbia Mela, and international mix of Italian musicianship and street theatre that will have you moving and shakin’ to their authentic Latin-American dance rhythms. Expect congas, timbales, and bongos, with a splash of drums and cymbals, bound together to those grounded white and black notes of a string bass, whipped up in a shower of trumpets, trombones and saxophones. Toby who turns 18 in August, began writing his own songs and performing when he was just 14. He started out on YouTube where he built a fan base and then started gigging at several local venues including The Plug and O2 Academy in Sheffield. Toby released his own EP of four self-penned songs in November last year and ‘Tales of a Hopeless Romantic’ has received critical acclaim and excellent sales, especially via iTunes and BBC Introducing. After attending the festival last year, I can vouch 100% for the quality of the setting. Not only do you have the beautiful surroundings of the Cawthorne country-side, you also have some of the best facilities, food and drinks that I’ve seen at any festival, so I’m only sure it can only improve for 2015. 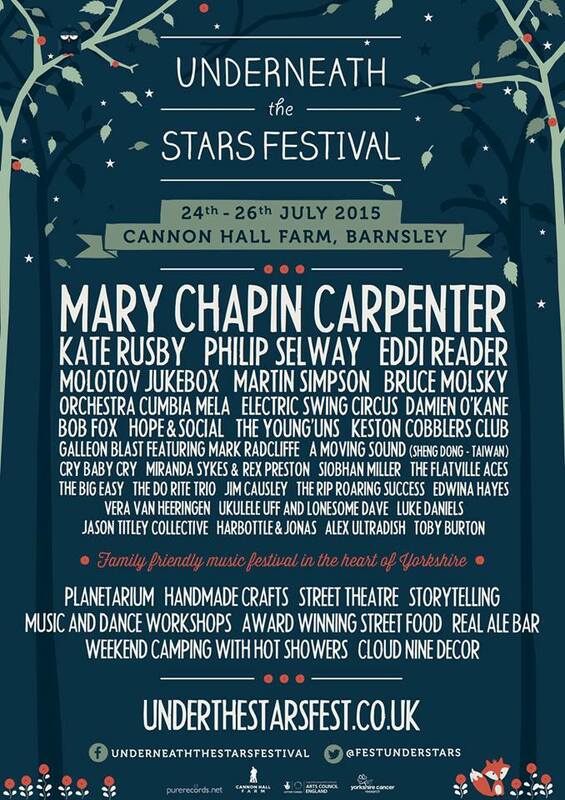 I expect that in time, Underneath the Stars will be considered as one of the best major small festivals in the UK, alongside the likes of Bearded Theory, Beat Herder, Folk By The Oak and Cambridge Folk Festival. It certainly deserves to be. At last year’s festival, live music only ran from very late in the afternoon on the Friday, finishing early on the Sunday, as if to cater for the Monday to Friday worker. I said that I’d loved to see more music in 2015. Well, I can confirm that this year, the festival has crammed in much, much more quality live music, with acts playing all day long, over all three days and there is even a musical treat for those campers arriving early on Thrusday evening. I already have my list of must-watch acts and I can’t wait to sample this year’s specially brewed ales. Also follow the festival on facebook, twitter and instangram.